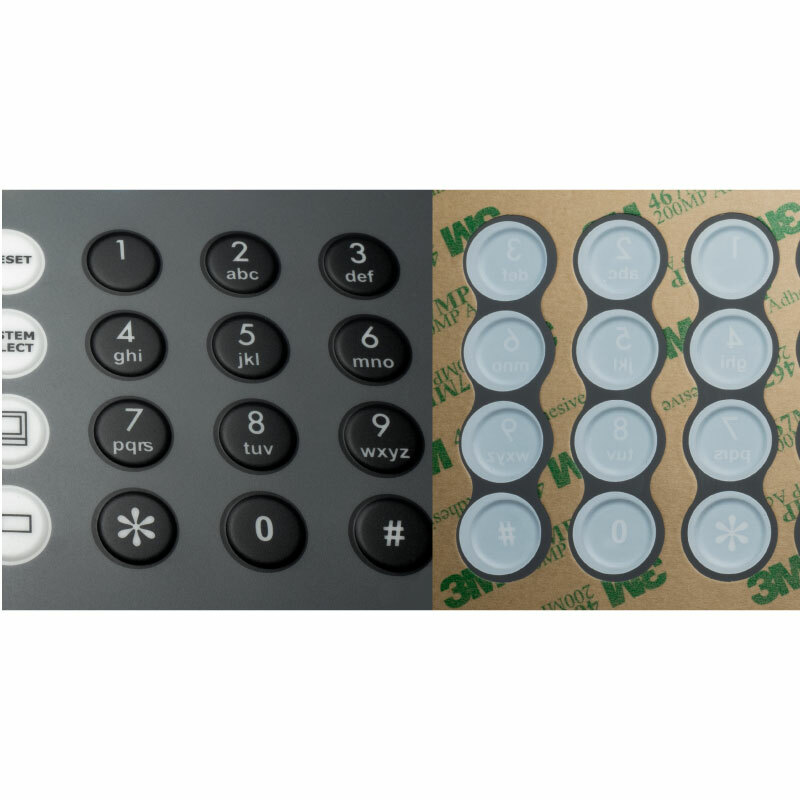 Embossed labels are usually overlaid for electronic equipment control panels incorporating raised ‘push buttons’ to give the user a tactile feedback when pressed. The procedure requires the use of two dies: one that is raised and one that is recessed. The dies fit into each other so that when the label is pressed between them, the raised die forces the stock into the recessed die and creates the embossed impression. Die depth: this is determined by the substrate to use for the creation of the label or overlay to be embossed, for example, PVC, Polyester, Polycarbonate etc. Embossing involves a separate stage in the production process, after any varnishing and laminating.